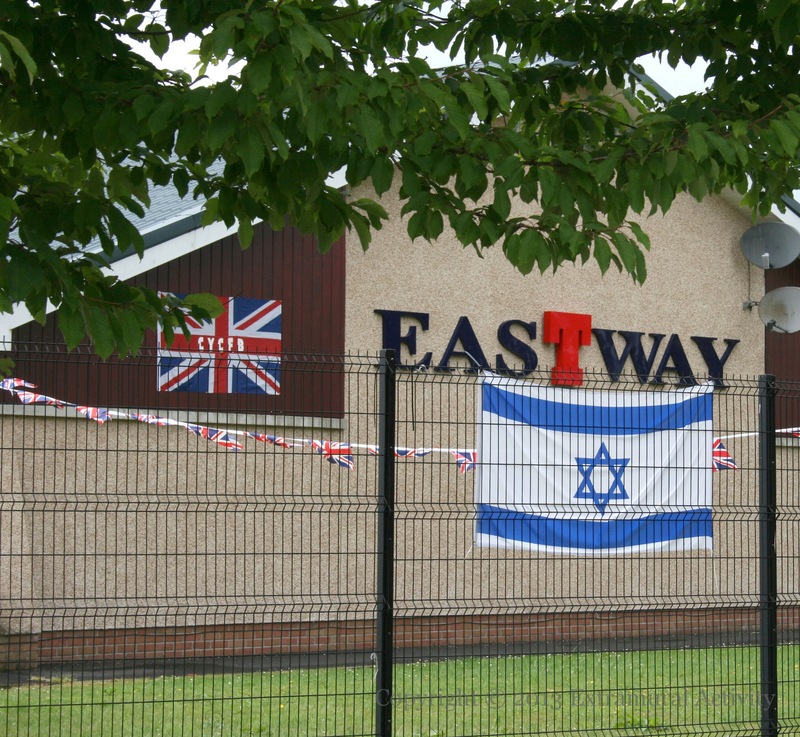 The Israeli flag flies on a fence (along with other flags, not in shot) outside the Eastway social club in Rathcoole. On the wall of the club is a union flag with the letters “CYCFB” standing for “Cloughfern Young Conquerors Flute Band”. The band will next parade in the area on August 17th. The “T” of “Eastway” is the Tennent’s Lager brand.